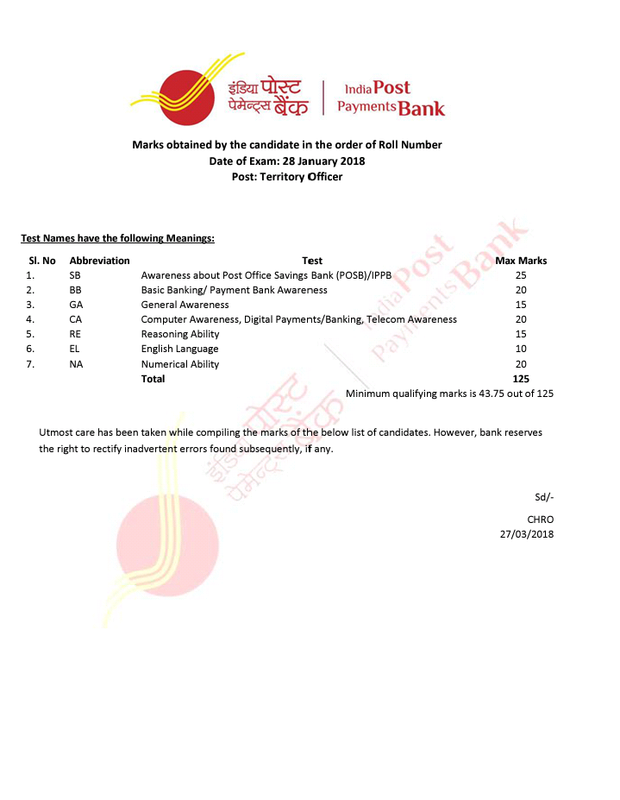 Marks obtained by the candidate for the post of #Territory_Officers in IPPB exam held on 28 January 2018. 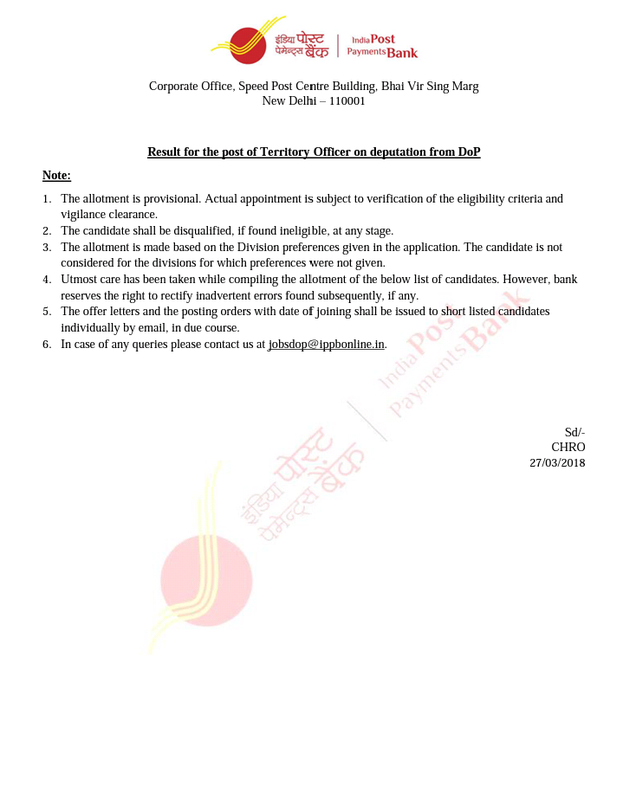 Result of the post of Territory Officer on deputation from DoP. 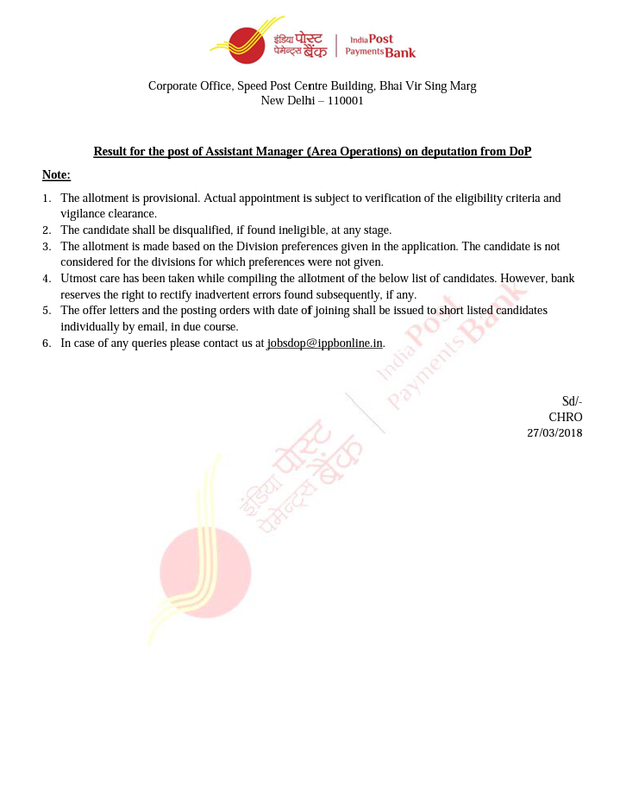 Result of the post of #Assistant_Manager(Area Operations)on deputation from DoP.